As a young man, Teddy Roosevelt was sent to North Dakota to help his health; he later said that he immediately fell in love with the state, a passion that lasted for the rest of his life. And what's not to love? North Dakota is home to more national wildlife refuges than any other state. It grows the most sunflowers than anywhere else in the country, produces the most sugar, and, at 60 tons, is home to the world's largest buffalo statue. On their way westward, Lewis and Clark spent more time in North Dakota than anywhere else on their journey. So there must be something to the state. Interested in finding out why? Here are 20 of the coolest things to check out about the Roughrider State. It's 70,000 acres of sheer beauty, dedicated to one of our country's great lovers of the outdoors. There's excellent hiking and plenty of chances to spot everything from bison to prairie dogs. Consider taking one of the guided horseback tours that are available. Year round, Devil's Lake is one of the state's most popular sites - and winter doesn't slow it down. It has some of the best ice fishing around. 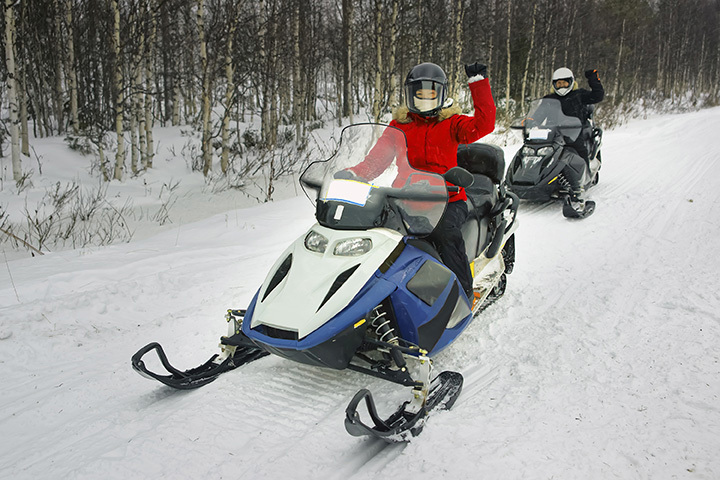 Besides nearly 3,000 miles of groomed trails throughout the state, there are several hundred miles of trails "off grid" that are attractive to snowmobilers.